3 1/4" Vintage Canadian Air Force Vertical Speed Indicator. Type RC2L. Very clean and interesting item. It shows very well and it would make an excellent show piece for the bookshelf in the office or home. 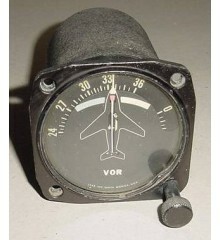 3 1/4" Vintage Canadian Air Force Vertical Speed Indicator. Type RC2L. Very clean and interesting item. It shows very well and it would make an excellent show piece for the bookshelf in the office or home. Do you happen to know the type of aircraft this item went on?? 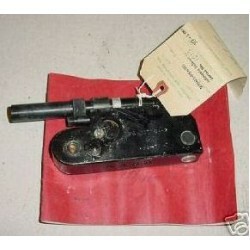 If so, P..
Vintage Parachute Automatic Release Mechanism (1960s). It is a Canadian Royal Air Force Parachute Autorip Mechanism. P/N 1670-21-805-4882. It comes with logbook. Very clean and interesting item. Sold for display only, as is, no returns.